On November 25, 2018, I posted this in Cooking Made Easy Facebook Group and got lots of positive comments (See picture below). It's a simple recipe which you can try at home, if you are a love of cow meat. 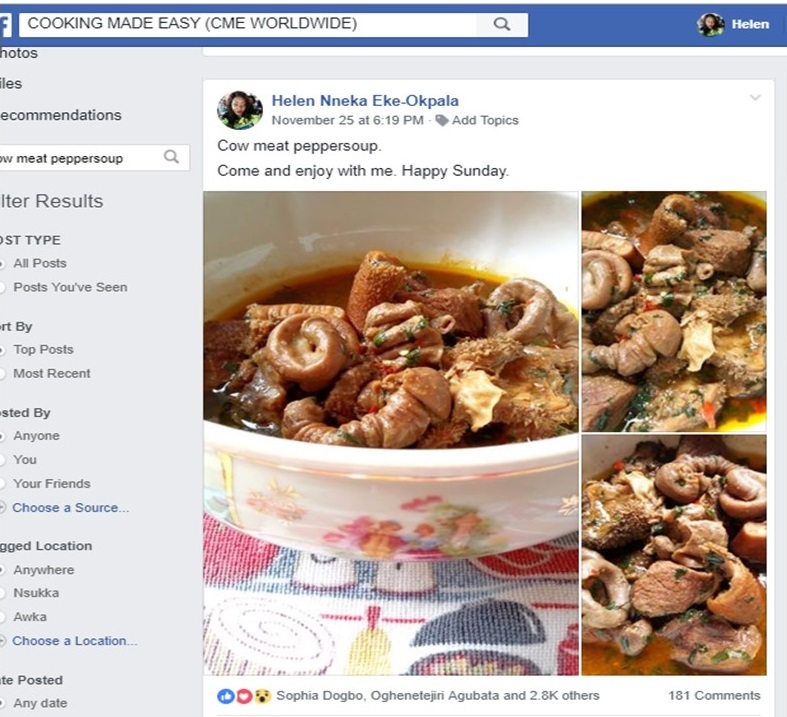 Peppersoup is taken mostly in the evening during relaxation. 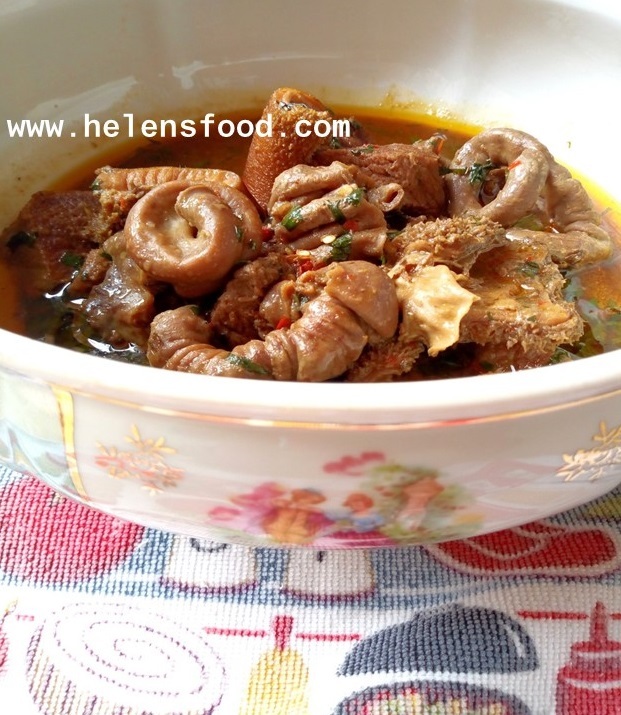 Some people serve peppersoup in big occasions, with yam as accompaniment. 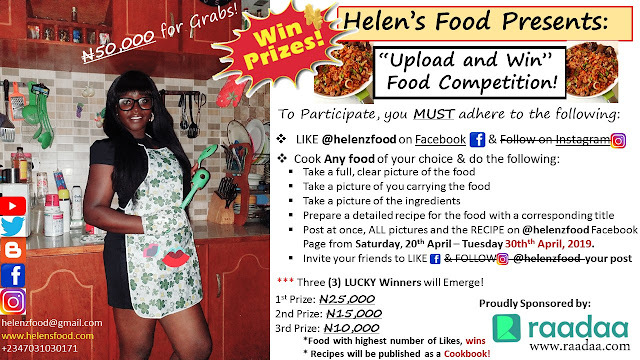 Here, we have a simple recipe for you, especially if you are a cow meat lover. 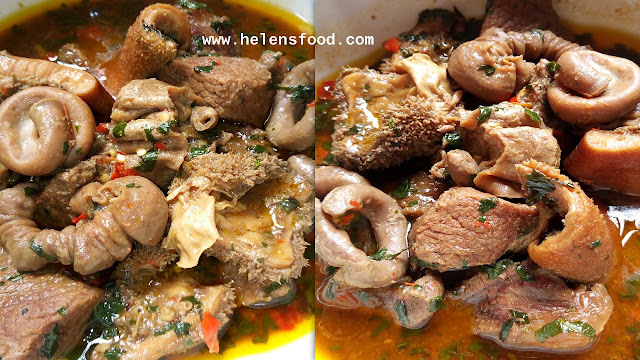 Assorted parts of cow meat brings out the richness of the peppersoup. 7. Cook for 5 minutes and it's done!